Ekadashi Meaning : (Sanskrit: एकादशी, ekādaśī, “Eleven”, “Eka” – one, “dashi” – ten), also spelled as Ekadasi. This is an important day in Hinduism and especially the Vaishnavite tradition giving an opportunity to the devotees for self-purification, redemption and spiritual progress. Ekadashi vratam (fasting) is observed every 11th Tithi (day) of a month of the Hindu calendar. There are two Ekadashi Tithis in a month; one during Shukla Paksha (the bright fortnight) and another during Krishna Paksha (the dark fortnight). Devotees of Lord Vishnu observe this Ekadashi vratam to seek His special blessings. Ekadashi vratam continues through three days. Devotees take a single meal only in the afternoon of the day before the fasting day to make sure there is no residual food in the stomach on the next day. Devotees observe a strict fast on the Ekadashi day and break it the next day only after sunrise. Eating of all type of grains and cereals is prohibited during Ekadashi fasting. However, devotees can choose to observe to fast without water, with only water, with only fruits, with one time latex food according to their respective choice and endurance. This dietary regimen must be decided prior to the start of the fast. Before going into further details, let’s first know the legend behind the origin of Ekadashi. Come, let’s make Ekadashi 2015 more significant by knowing the myth behind it. As per the legend, once Lord Vishnu was lying in Yoga Nidra (yogic sleep). At that time, a demon named Murdanav, came and challenged Lord Vishnu for a fight. As Lord Vishnu was in Yoga Nidra, a damsel appeared from his Ekadash Indri (eleventh sense). As soon as Murdanav had a glimpse of the damsel, he got so attracted that he wanted to marry her. But, the damsel put a condition that first he would have to fight with her. Murdanav became so passionate after seeing the damsel that he agreed to have a fight. In the fight, the demon got killed by the damsel. Lord Vishnu became happy and got pleased by the firm dedication of the damsel. After naming her as Ekadashi, because she had appeared from his Ekadash Indri, He told her to ask for a boon. Goddess Ekadashi requested Lord Vishnu that she wants people to observe a fast on the day of Ekadashi, whereupon people would get free from all evils and sins. 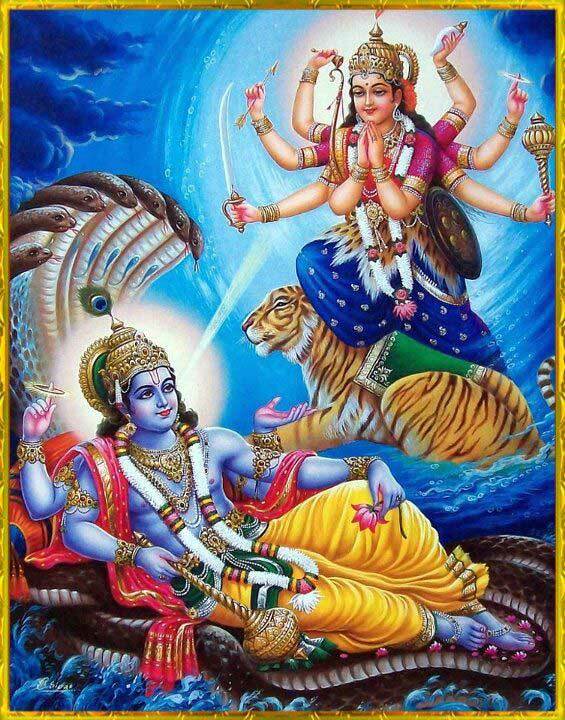 Lord Vishnu granted her the boon and said that one observing a fast on an Ekadashi would get Moksha (salvation). In the Ekadashi morning you should take a shower, sit down calmly and clear your mind. It is important to understand that fasting is not just rejection of food or other eatables. If you give vent to anger or moral deficiency – your observance of the vrata is but faulty. Also, avoid daytime sleep, oil massage and shaving. If you are unable to observe a complete fast, eat no more than a single meal after midday on the Ekadashi day. If an Ekadashi coincides with the Dashami (the 10th lunar day) there’s no need to fast; but if it coincides with the Dvadashi (12th Lunar day) it is called “pure Ekadashi” (Mahadvadashi) and it can be observed strictly. Neither overeat the day before fasting, nor take animal food. Vegetables, fruits, porridge are advisable. The first meal after the fast should preferably consist of a light curry of black grams or else one can make do with even fresh fruits or juices. Be careful with your ration. Your stomach happens to be at complete rest during a fast, so do not overload it with heavy food while breaking the fast. Those observing a partial fast should avoid consumption of “Rice”. Ekadashi finds mention in a number of Puranas. It is associated with Lord Vishnu and ‘Haribhakti Vilas’ talks in detail about its importance. Today, in Hindu religion Ekadasi has come to mean a day to fast. It falls on the 11th day of every lunar fortnight and thus there are two Ekadashi in a month. It is also known as ‘Harivasara’ and ‘Hari din.’ Several Puranas including Padma Purana and Skanda Purana detail about the significance of Ekadeshi. How to fast on Ekadashi? How to observe ‘Ekadashi’ is clearly mentioned in ‘Harivasara.’ In modern day, many people will find it difficult to observe it in its entire strictness. Yet, there are a large number of people who observe it. And there are numerous observations on what food one can have? There are also regional variations to the way in which the Ekadasi is observed. It is good to go on fast once in a while as it recuperates the body. Ekadashi observance cleans our body and the digestive organs get much needed rest besides imparting religious merits to the devotee. Those people suffering from ailments and on medications should take the advice of a doctor before fasting. Never torture your body in the name of religion. There is nothing wrong in having fruits or milk but they shouldn’t be taken together or at quick succession. And you can always bring a certain amount of flexibility in the way it is.